The Syrian conflict, which began with peaceful protests in March 2011 against President Bashar al-Assad, has spiraled into a multi-sided civil war. 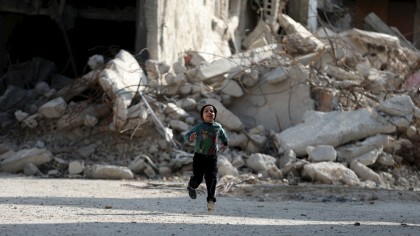 Reports as gathered by the UN`s estimates says more than 280,000 people have been killed in the conflict so far. The UK-based Syrian Observatory for Human Rights (SOHR), which records daily developments in Syria, also released figures on Sunday detailing the killing of at least 327 civilians, including 76 children and 41 women, in Aleppo over the last 15 days. More than 100 of the 327 were reportedly killed in bombing by government warplanes, while 126 were killed in attacks by opposition fighters on government-held areas in Aleppo.